Npower’s ongoing search to find the oldest boiler in Britain has unearthed a 42-year-old appliance in Billericay. The boiler, belonging to homeowner Colin Sadler, had been installed in the Essex property in 1968 and was still going strong. Sadler was made aware of the npower hometeam’s hunt for Britain’s oldest boiler by his wife who read about the search in the local newspaper. This sparked Colin to think about his Crane Cavalier boiler which had been in the home since he and his wife moved in 28 years ago. Since the Government’s Boiler Scrappage Scheme launched in January, the npower hometeam, which installs, services and repair boilers, has overseen the replacement of hundreds of old, inefficient boilers. Inspired by these discoveries, the company launched a nationwide hunt to find the oldest boiler, and out of over 100 entries, Colin’s system was confirmed as the oldest. Back in June, Boiler Guide reported that the npower hometeam had discovered a 32-year old relic in a household in Alnwich, Northumberland. However, Sadler’s system dwarfed that and means he will now receive £3,000 towards a new A-rated energy efficient boiler and installation. 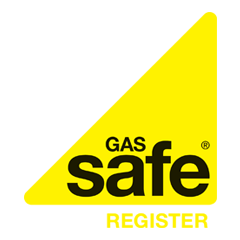 Colin Sadler said: “When my wife and I moved into our home in 1982, the seller warned us the boiler was quite old, but we decided to keep it as it was in good working order. It wasn’t until an engineer recently told us he was reticent to service it because it was so old that we thought it might be about time to have a new one. “But as with many older boilers, Colin’s system is no longer in production, which can make it difficult to service as parts are no longer available. And the boiler itself is very inefficient compared to modern boilers which could save hundreds of pounds in heating bills.